Øystein Elgsaas, architect and partner at Voll Arkitekter, says The Mjösa Tower symbolizes environmentally friendly thinking in construction and offers proof that tall buildings can be built using wood. The Mjösa Tower was officially opened on March 15 and took over the title of the world’s tallest wooden building. The 18-floor building, located in Brumunddal Norway, reaches a height of 85.4 meters. 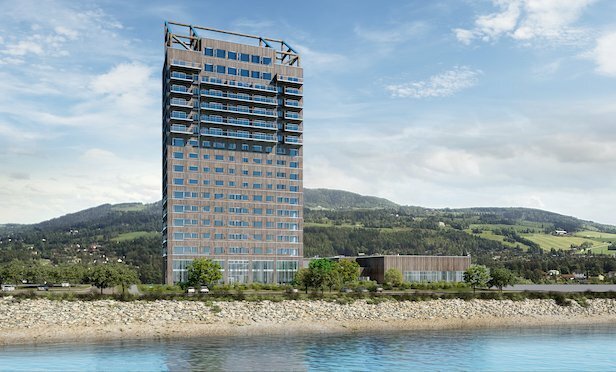 BRUMUNDDAL, NORWAY—Work has completed on the world’s tallest wooden building here—The Mjösa Tower here.